The WorldSkills competition is a world championship of non-academic occupations. Since 1950, trainees and young skilled workers from all over the world have competed with each other in numerous categories and measured their skills in the individual occupations. The competition aims to motivate young people worldwide to take up a trade or technical occupation. They qualify for the biennial world championship in national and regional preliminary competitions. To support up-and-coming spray painters and young talent, BASF’s Coatings division has signed on to be a global sponsor of the WorldSkills International umbrella association until at least 2019. 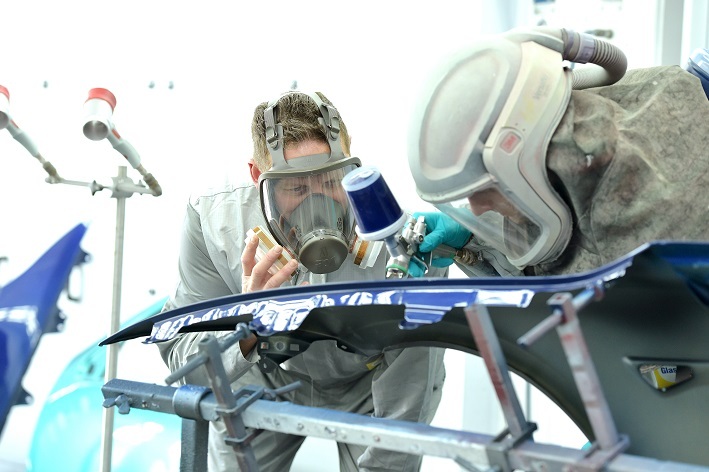 By sponsoring the WorldSkills competition, the Automotive Refinish business unit of BASF’s Coatings division aims to make young talent excited about the spraypainting profession in particular and is focusing on promoting the next generation of automotive refinishers. During the competition, participants in this category will exclusively use products from the comprehensive portfolio of BASF’s refinish brands Glasurit or R-M, depending on the country, as well as the RODIM brand range of paint-related products. “With our active commitment, we are emphasizing the significance and viability of a career as an automotive refinisher, an occupation which for years has suffered from a shortage of up-and-coming candidates. This kind of competition, which also includes the international R-M Best Painter Contest, illustrates the diverse nature of the occupation, which calls for both craftsmanship as well as sustainable thinking and efficient action,” explained Dr. Harald Borgholte, Global Strategic Marketing & Product Development, BASF Coatings. The support by BASF’s Coatings division provides WorldSkills with a strong global partner that will contribute its in-depth automotive refinishing expertise to the competitions. The sponsorship benefits the WorldSkills competitions themselves, but also enhances the image of numerous occupations worldwide. And the young competitors all over the world get the chance to demonstrate their technical abilities and master new challenges. The WorldSkills competition will take place in the Middle East for the first time: From October 14-19, 2017, some 1,200 talented young people will showcase their skills in 51 individual competitions in Abu Dhabi. In order to qualify for the final at the Abu Dhabi National Exhibition Centre, in which 76 national WorldSkills associations will be represented, the candidates must win the national competition of their respective country. About 100,000 visitors are expected to attend the competition, including 10,000 international visitors, making the WorldSkills competition the biggest event ever to be held at the Abu Dhabi National Exhibition Centre. At the 2017 WorldSkills final, the automotive refinish contenders will compete using Glasurit premium brand products exclusively. Accompanying the actual competition, a number of other initiatives will be featured. For instance, in addition to the conference and seminar program that will be part of the competition, each national team will be assigned a school from Abu Dhabi – which will visit the competition – in order to promote intercultural exchange amongst the next generation of young people. The Coatings division of BASF is a global expert in the development, production and marketing of innovative and sustainable automotive OEM and refinish coatings, as well as decorative paints. We create advanced performance solutions and drive performance, design and new applications to meet our partners’ needs all over the world. BASF shares skills, knowledge and resources of interdisciplinary and global teams for the benefit of customers by operating a collaborative network of sites in Europe, North America, South America and Asia Pacific. In 2016, the Coatings division achieved global sales of about €3.2 billion.